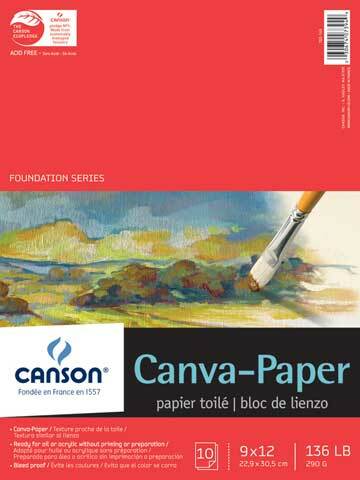 This cloth-backed oil painting paper, conveniently available in pads, is an economical substitute for canvas. The paper can be mounted and stretched and will not bleed or peel. Ten sheets per cloth-bound pad.